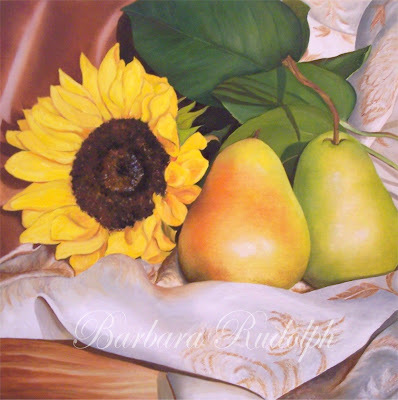 Barbara Rudolph Fine Art: STILL LIFE - "Sunflower & Pears"
set up, but have some giclees of this one available for purchase. 14x14". Commissions in this style are also welcome.